Hello vaping world! I thought I might write about cartomizers as I seem to have acquired several different types and they all seem to be a little bit different from each other. Cartomizers are a disposable combination of atomizer and cartridge all in one unit. It screws into your ‘battery’ or device where you would normally use an atomizer. Before talking about cartos that I’ve tried, I’ll try to cover some of the basics of what you’ll need to know about them. There’s a few basics to cover such as filling, drip tips, resistance and coils. Then I’ll talk about cartomizers that I’ve used and my thoughts on them. There are three ways to fill a cartomizer. Dripping a few drops of liquid at a time into the filling material that’s inside, taking care to tip it slightly so that the liquid doesn’t go into the centre, where the coil and electronic bits are located. Many suggest using two or three drops, give it a quarter turn and then repeat until the filling is saturated. 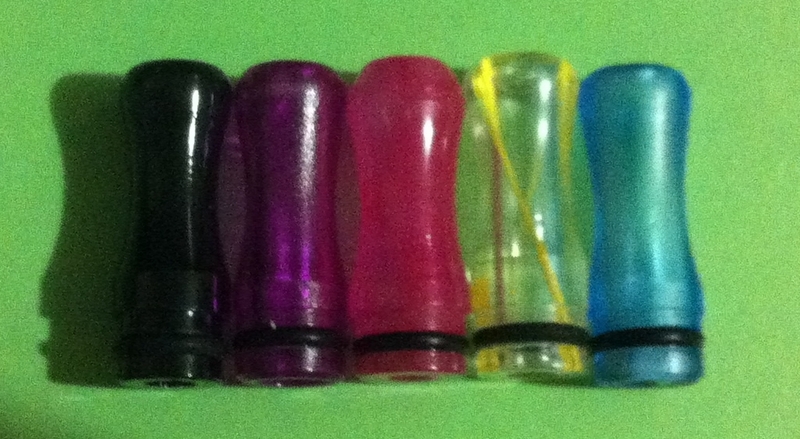 Each cartomizer comes with a silicone or plastic top and end cap. Fill the top cap about half to three quarters full of juice and then sink the end of the carto (the end with the connector) into the cap of juice while holding the cap. You then use a tissue to wipe the outside and connector before using it. With larger cartos you may have to repeat this process until it’s filled all the way. Some videos show the connector end being put into the cap, and others show the top portion slid into the cap. Which end that gets put into the juice is a matter of choice. I’ve always used the end that’s open and has the filler at the top to put into the liquid. I think it’s a matter of preference unless I learn otherwise. EDIT (11 Mar 2012): Since I wrote the above, I’ve found that if I use the connector end it works much better. I have to hold a tissue on the connector for a few seconds after filling, but I have to wipe the carto off anyway so it’s been no big deal. Just keep dabbing it until no more juice comes out on the tissue. Fill a syringe with eliquid and slowly add it along the sides of the cartomiser until the filling material is saturated. This method can be particularly useful with the much larger (2.5 mil and larger) cartomisers. If you get more juice in the carto than will fit, you can put a wadded up tissue on the connector end and then carefully blow through the top part – the excess liquid will come out onto the tissue. 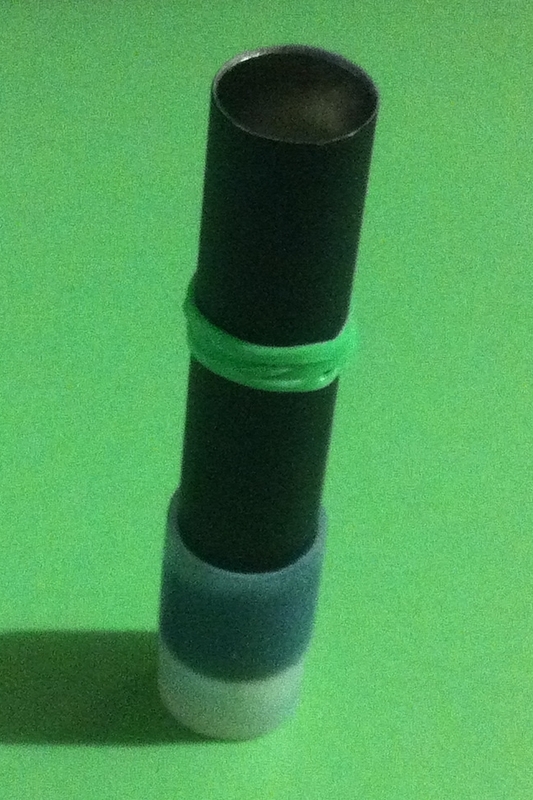 Should there be a lot of excess juice, instead of a tissue, I hold the silicone top or bottom up to the connector end and then blow the excess into that. After I’ve finished, I can then pour the remaining juice back into the juice bottle so there’s very little waste. Cartomizers come with a small plastic cap that is inserted into the top part. This can be removed for filling and replaced when done. You can then vape as if it were the end of a cigarette, but I much prefer using a drip tip. These fit into the top and let you vape without your lips touching the metal part of the cartomiser which can get quite warm. The name comes from their use when dripping liquid into atomizers but they’re also useful as a tip on a cartomiser. They also give a bit of colour to your daily vape. One of the first things I learned (unfortunately the hard way!) is that many cartos come in two different main formats – SR (Standard Resistance) and LR (Low Resistance). You don’t need to be an electronics tech to use these – you just need to know what the differences are so you can make a good choice for what your needs are, and remember too that what you ‘need’ today might not be what you ‘want’ in a few weeks. One of the first mistakes I made was assuming I would use one or the other exclusively. What you prefer to use really depends on what device you’re using vape on, and your personal preferences. SR, Standard Resistance or just ‘regular’ cartomisers offer a cooler vape with less vapor but the liquid and batteries last longer. These can be used on pretty much any device from the 510 to the variable voltage devices. Sometimes these will be listed on a vendor site as anything from 2.2 ohm or higher. LR, Low Resistance helps to mimic the vape one gets from a higher voltage device (i.e. more flavour, vapor and throat hit). It uses more power output and gives a warmer vape, a bit more throat hit and vapor, but the liquid is used a little quicker and will also use more battery power. These cartos should really only be used on devices that are lower voltage to begin with such the Ego, or variable voltage devices set no higher than 3.7 volts. As they use more battery power Low resistance cartos aren’t recommended for use with the standard 510 batteries.LR cartos vary in their resistance levels, usually between 1.5 and 2.1 ohms. I haven’t purchased based on ohms but just go by whether it’s LR or SR when I can. I talked one vendor into adding the letters “LR” or “SR” to his item descriptions to help newbies like me – and it’d be nice if other vendors did too. Tossing ohm numbers around just confuses new vapers in my opinion. Otherwise if the description refers to the ohms as 1.5 up to 2.1 then it’s a low resistance carto, if it’s 2.2 or higher then it’s standard resistance. The coil is the part of the cartomizer that heats up the liquid so that it becomes vapor. Some of the cartomizers I’ve tried have dual coils, one type uses a horizontal coil, and the first ones I tried don’t even mention what they use – these would be a single vertical coil. If you aren’t using a cartomiser with a tank, don’t buy any that are slotted, punched (or factory punched), dotted or flanged. All of these words refers to whether the cartos have been modified to work with tanks. Tank cartomizers have holes in them to allow you to fill up a cylinder with eliquid and then the cartomizer draws the liquid from the hole. This can be a line (as in a slot), a hole punched into it or if it’s done at the factory it’s a very small hole (or dot) that’s added at the bottom of the cartomiser. Some of these also come with a flange at the bottom of the carto which stops the tank from sliding. The letters DCT refer to ‘Dual Coil Tank’. If a particular cartomizer brand comes in different sizes I’ve noted this in the title in the same format that many vendors list them on their sites. All have a regular size but these are listed on vendor sites without an XL variation in the title. I’ve listed the cartos in the order that I’ve tried them in, for no other reason than it shows my journey and discoveries. These seem to be the most common cartomizers. The first I tried of these were the LR because I didn’t understand the difference between standard and low resistance. This was also before I had learned to properly inhale when vaping so I found them a bit ‘strong’, not realising that in the future this would be exactly what I’d be looking for – warmer, more vapor and more of a throat hit. So for quite awhile I preferred the standard resistance version and stocked up on them. I have more of these SR Boges than I do any other carto and tend to use them for testing flavours, simply because of their smaller size (in comparison to some of the larger ones I’ve since tried) and the fact I have so many. One of the most noticeable things about the Boges is they all seem to have a distinct hissing or slurping sound when I vape them, from the moment I press the button. For flavour and better vape, I would prefer the LR over the SR when using an Ego battery but that said, the standards last a fair while with my Ego, but with the higher current (on 5v or variable voltage devices) they tend to empty fairly quick. The flip side of course is that at a higher current the flavour and vapor is better. It’s a bit of a trade off. They’re even more slurpy sounding at higher voltages. As far as usage goes, I really didn’t notice any difference between the standard sized Boges and the XL size. The major difference is that the former holds about 0.9ml of liquid while the XL holds around 1.2ml. I’ve only tried the SR version of these and have added the LR version to my shopping list. In comparison to the Boge or even the Dual Coil cartos, the Kangers are very quiet. If I haven’t vaped on one for a while and have forgotten how quiet they are, I’ve first thought they weren’t working! These give a very warm vape and are nice on my Ego battery as well as at slightly higher voltages. I’m not sure if it’s the liquid I use with them (I have these reserved for my favourite tobacco flavour) but at 5volts the taste of my juice is a bit burned when used with my WOW 5v device. 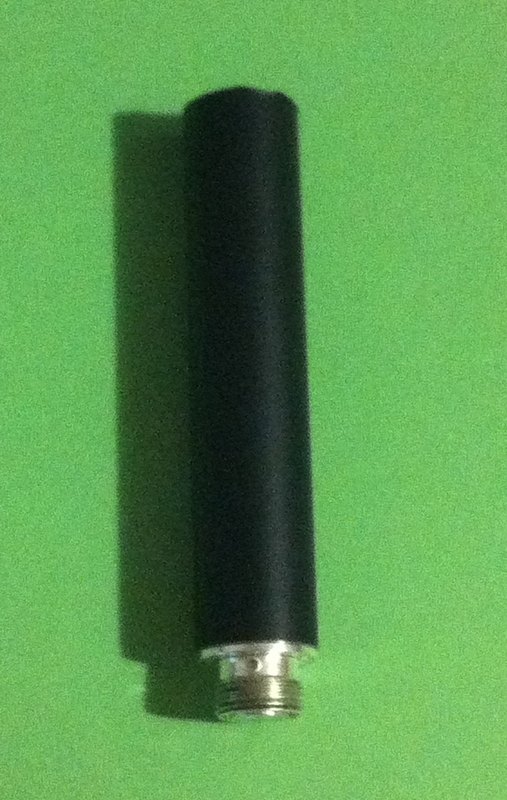 With the LavaTube I get the best taste at around 4.7v. Again, this could simply be the liquid used as I’ve only tried my tobacco flavour with it. I do like these. It’s a warm vape and the fact that they’re silent means I can be a more discreet when I’m out and about. These hold about 0.9ml of liquid. If I’ve tried the standard *size* of the SmokTech dual coil cartos, it would have been in a tank situation so I’ll skip right to the XL size. This is without a doubt my favourite. Although it comes in different resistances, the 1.5 LR one is also suitable on both my Ego and at higher voltages. This is because of some magic with the fact that it has dual coils and each work together. It gives me the strongest vape and because I can use it at a higher voltage it also provides really good throat hit and flavour. Yet it gives quite a bit of flavour and vapor even on the Ego battery. It holds about 1.8 ml of liquid so I really only need to fill once or twice a day and I’m good to go. These do make a little bit of noise but what makes them distinct in terms of sound is that they make a little ‘popping’ sound as the coil is activated. I find I get a better overall vape if I wait for this sound. On my 5v device, the pop(s) come very quickly after I press the button. There’s a bit of a delay when I use the LavaTube even at higher voltages and a further delay when I use it with Ego battery. I ordered five of the XXL size by accident. These are wider in diameter and come with a rubber whistle tip top. They hold about 2.5ml of liquid and as I can’t use my regular 510 style drip tips with them, they were promptly handed over to my other half. He also ‘inherited’ the gigantic XXXL “Ego” 5ml cartomiser. This came with the WOW (along with several tank cartomisers) so it’s not one I ordered specifically. This particular carto has Ego style threads (i.e. 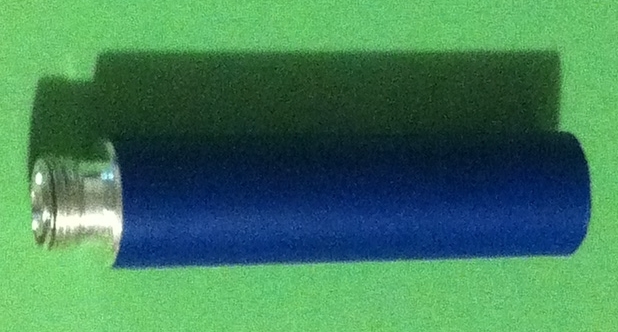 not 510) and also comes with its own rubber whistle tip top. He’s been using these larger cartos for a week or more but doesn’t yet seem to have a preference for either one. He didn’t like the smaller Boge cartos as he had to fill them too often. I’ve certainly not heard any similar complaints from him about the XXL or XXXL SmokTech’s. 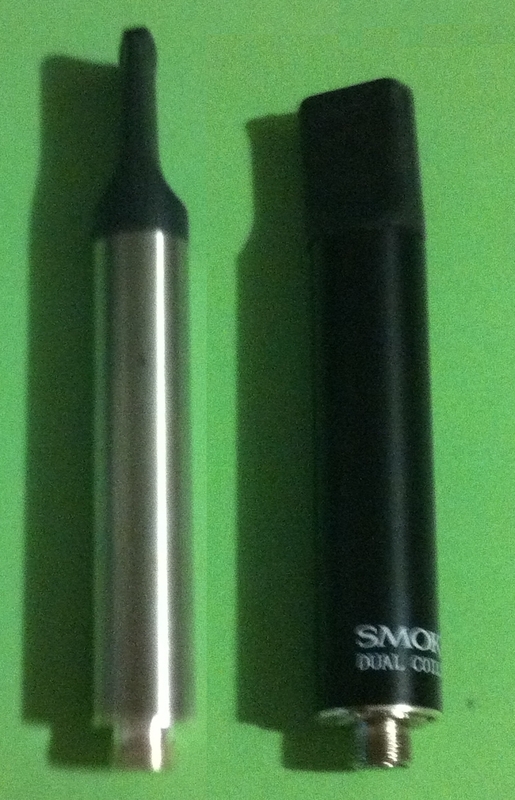 Both of these are dual coil and he’s vaping them on the LavaTube at around 5 or 6volt. Of all the cartomizers I’ve tried, at this point I think I prefer the Smoktech XL 1.2 Dual Coil cartomisers. They work well regardless of what device I use them on and hold about a mil more than the standard size Boges. I do like the pleasant vape from the Horizontal Kangers and I look forward to trying out the LR version of these sometime in the near future. One last little tip – I found a package of small coloured bands – intended for little girl’s pony tails that I use to mark what flavour juice is in each carto. In one of the photos above the carto has two green bands on it. This tells me it’s lime flavour. I use one or two bands and make note on a pad of paper for which colour(s) go with which flavour. If this article has helped you, please be sure to share it with other vapers using the links below.